It is written expressly for Developers who must develop and DevOps who must deploy with an emphasis on AWS deployments. The course provides a solid foundation in the architecture ok Kafka and how to work with it. After taking this course, you will be ready to work with Kafka in an informed and productive manner. We provide more than just developer training. We provide the training to maximize your developer and DevOps expertise. Kafka is a key-ingredient in microservices development. It helps move you away from slow and unresponsive shared-state architectures with its abundance of cascading failures to in-memory actors systems done in Kafka streams, QBit and Akka. We can show you how to set up the Kafka streaming platform as part of your high-speed, reactive microservices architecture. Technology stacks like Kafka, Akka and QBit are the backbone for event driven microservices. We have successfully deployed the streaming solutions at large fortune 100s and very high traffic web properties. We have the experience to deploy and monitor Kafka clusters running on AWS EC2. We have been there and done that and understand when and where streaming platforms makes sense and how to avoid common pitfalls. Our company is set up to support tools like Kafka running in AWS EC2. We have deployed 100 million user microservices in AWS using streaming solutions. We provide Kafka support, AMI images for Kafka, CloudFormation templates, and tools for collecting metrics and logs to support Kafka in AWS via CloudWatch. 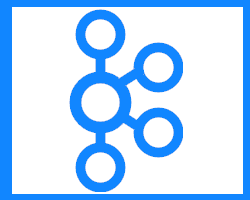 Supporting Kafka in production in AWS, EC2, and S3 is what we do. Rest assured that the person teaching the course is a battle-hardened expert. Contact us to book onsite training today. Call to book 1-415-758-1113. Subscription Kafka support (Support subscription pricing for Kafka).